Can I be charged with DWI as a felony in North Carolina? In general, driving while intoxicated (DWI) charges are classified as misdemeanors in North Carolina. However, you should not treat a misdemeanor DWI charge lightly. A DWI misdemeanor conviction can come with heavy penalties, such as a jail sentence, large fines, community service, and suspension of your driver’s license. You would also have a criminal record for the rest of your life that could impact on your ability to find a job, obtain a loan, and more, so the long-term consequences of a DWI should not be overlooked. In addition, DWI misdemeanor convictions could lead to charges of felony DWI or other DWI-related felony charges in certain situations. These are very serious charges, and a conviction can result in even stiffer penalties—including a mandatory prison sentence. If you are charged with any DWI—misdemeanor or felony—you need to contact an experienced criminal defense attorney as soon as possible to guide you through the process and help build your defense. Even if you believe that you are guilty, there could be many defenses in your case that could result in a dismissal of the charges or a reduction to a less serious offense. If convicted of this crime, you face a mandatory prison sentence of 12 to 59 months, possible permanent suspension of your driver’s license, and seizure of the vehicle that you were driving when you were arrested if certain requirements are met. You may also be required to go through an alcohol treatment program while in jail in order to be paroled. 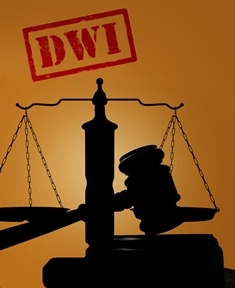 What Other Felony DWI Charges Could You Face? Felony death by vehicle. If you unintentionally killed another person while driving when impaired and the impairment was the proximate cause of the death, you could be charged with felony death by vehicle. This is a Class D felony. Misdemeanor death by vehicle. You could be charged with misdemeanor death by vehicle if you unintentionally killed another person while violating a State or local ordinance governing the operation of a motor vehicle, and this was the proximate cause of the death. A conviction would be a Class A1 misdemeanor. Felony serious injury by vehicle. If you unintentionally caused the serious injury of another person while driving when impaired, you could be convicted of a felony serious injury by vehicle offense if the intoxication was the proximate cause of the injuries. This offense is classified as a Class F felony. Aggravated felony death by vehicle. You could be charged with this offense instead of felony death by vehicle if you were convicted of a crime involving impaired driving within the last seven years. Otherwise, the offenses are the same. This is considered a Class F felony. Aggravated felony serious injury by vehicle. Like aggravated felony death, you could be charged with this if you have a previous conviction of another crime that involved impaired driving within seven years. It is a Class E felony. If you have been charged with any DWI offense, you need the assistance of an experienced DWI attorney to reach the best outcome possible. We are former Mecklenburg County Prosecutors and have a better understanding of how the prosecutor may handle your case and what could be necessary to get the charges dropped or reduced to a less serious offense. Call our office today to schedule your free, no-obligation consultation.